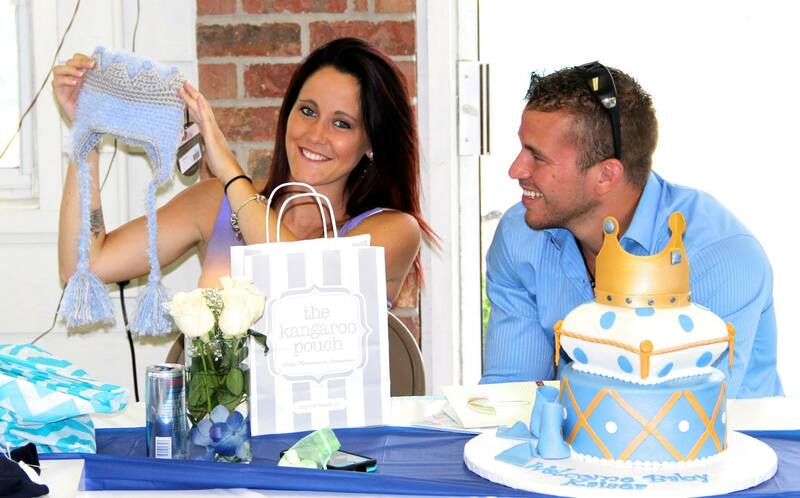 ‘Teen Mom 2’ star Jenelle Evans is due to deliver baby Kaiser next month and has finally had her baby shower. Well one of them at least. “Had the first baby shower today! 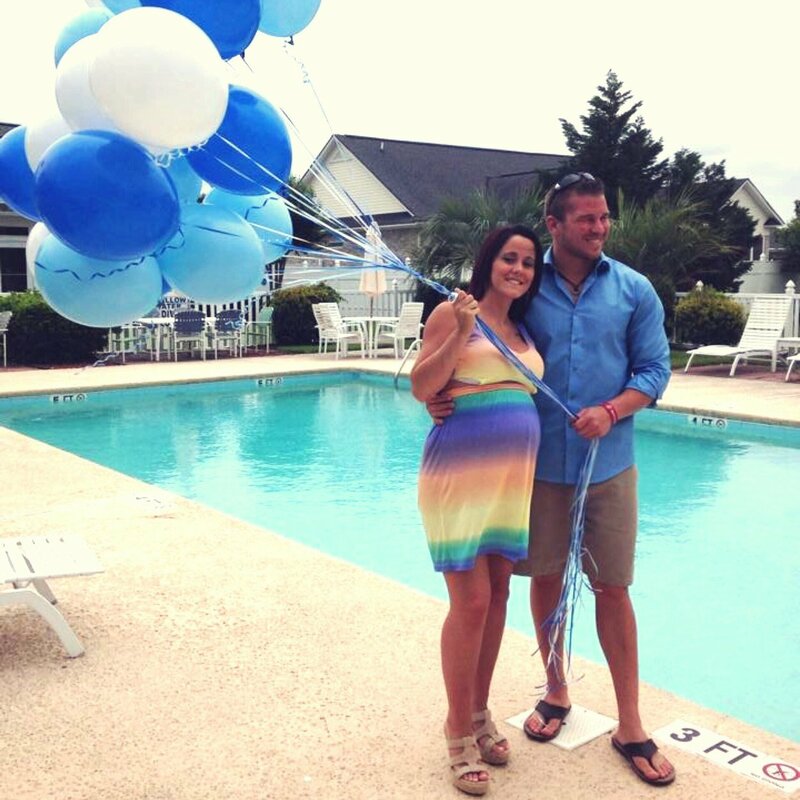 Had a great time and got a lot of awesome gifts!” Jenelle tweetd on May 31st. 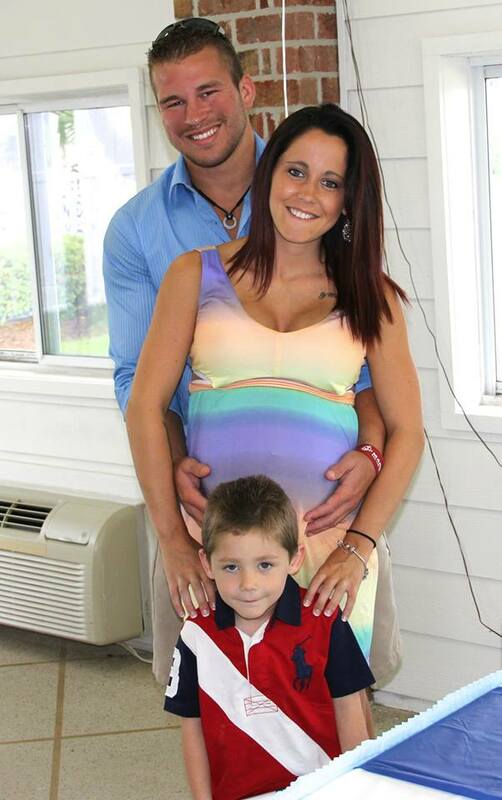 Jenelle looked vibrant and happy in her multicolored summer dress. 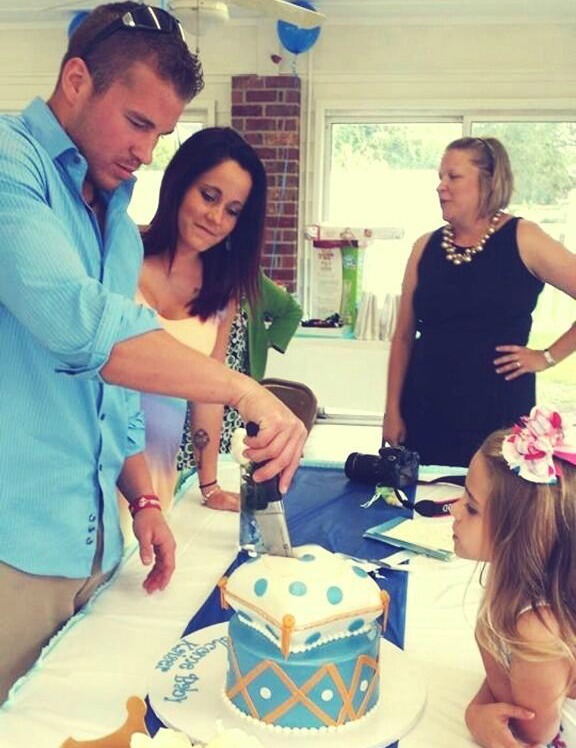 The shower took place in what looks like a very beachy pool house which is very Jenelle. 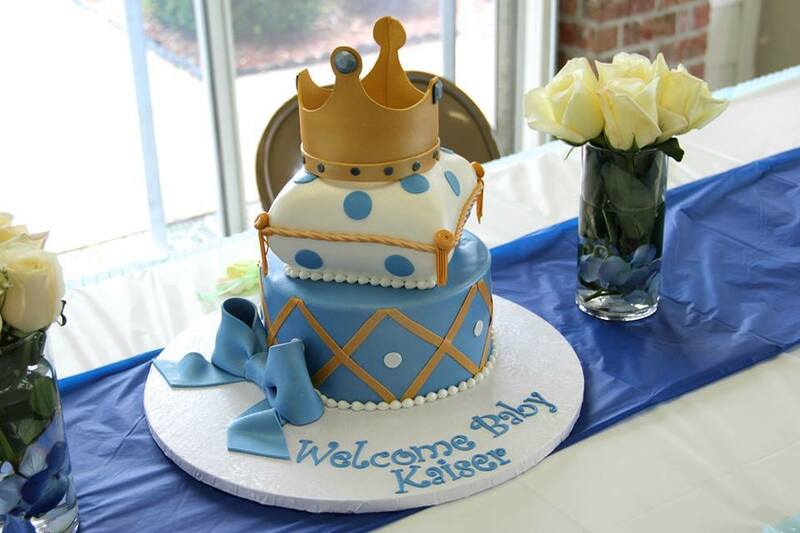 She and Nathan cut the Royal themed cake for Kaiser together and seemed to thoroughly enjoy their day. They ate yummy looking food, opened a ton of cool gifts and for some odd reason set a bunch of balloons free in the name of Kaiser. (Which I hate because that’s just so not good for the environment/animals.) Other than that though it looked like a very successful and beautiful shower.